Be cautious of your nutrition but don’t stress about it! Try to eat plenty of veg and fruits of different colours, bean and legumes and whole grains every day and supplement your diet with a vitamin B12 tablet. 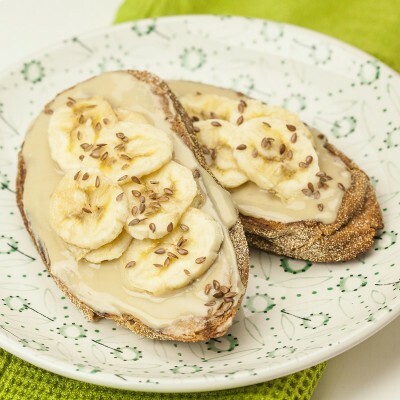 Tahini is a great nut butter alternative to slather on crunchy toast, and pairs perfectly with bananas. 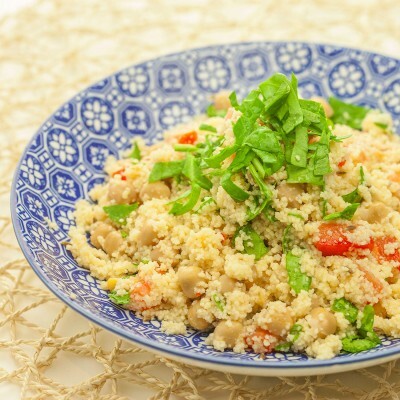 An easy throw together lunch bursting with delicious flavours. 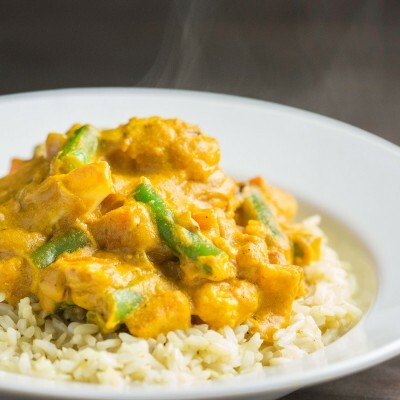 This cashew and coconut based sauce makes for a thick and creamy curry.